How to keep three young boys, who don’t particularly like having their photos taken and who definitely don’t smile on demand, engaged for a whole session? And get good photos of them? These were questions that the mum of these boys had obviously asked herself in advance and had come up with great solutions to. Firstly, I had already met all the family, which really helps everyone to relax. Secondly, ample snacks were on hand so that the kids weren’t hungry. Thirdly, games and toys were set up in a couple of different rooms in the house, with both parents around playing with the kids. This meant that I could focus for a bit on one kid, and the others were doing something enjoyable and engaging rather than getting bored while waiting for their turn. It also meant that I could get natural action shots of the kids playing games they enjoy, meaning that the smiles are genuine as they are doing something that is fun for them. For the kids it was more like a day of games with their parents and brothers, the photography was incidental. As a result of all this the session ran like a dream and I even got smiley photos of the child who doesn’t normally smile much. This year the head shot side of my work has really grown. As a woman who runs her own business, word of mouth has brought other female freelancers and entrepreneurs who need good portraits for their websites and social media to me. I love taking these photographs because it gives me the opportunity to find out more about what other people do and why. It’s fascinating working closely with someone else to help them present themselves as they want to be presented. I follow the same gentle approach with head shots as I do with family photography. The session is unhurried and my priority is making my client feel comfortable in front of the camera so that they can show the best of themselves. In the studio I work with the camera linked to a computer so that we can constantly review the images on screen together and decide what lighting to tweak, what poses and facial expressions are working best, if an outfit change would improve the pictures. We go back and forth between looking at the images and shooting more until my client is completely happy with the results, which I then gently retouch to bring out the best in them whilst still looking very natural. I also offer head shots on location, if that is more relevant to your business. I have a make up artist that I work with regularly if you’d like a little help in that department. If you’d like to have a chat about my head shot packages, please get in touch. I have been so busy doing outdoor autumn photo sessions for the last couple of weeks that I haven’t had time to put any of the images online, but I had to share these. This is the final session in my first year package with a wonderful family whose daughter I photographed at 7 months and as a newborn. As many families choose to, they had each one of their three sessions in different locations. So they now have studio images of their daughter, photographs taken at home and images taken at a favourite location. And what a great idea it was to do the location session in Battersea Park in the autumn. Despite it being nearby, I’d never actually been to Battersea Park before. London has so many amazing parks that I am slowly working my way through but I think it may take me a lifetime. We postponed the session by a week, as the weather wasn’t good on the day we had originally booked it for. I’m really passionate about doing outdoor portrait shoots using beautiful available light so am always happy to rearrange to ensure we get the best pictures possible. I’m very glad we did this time. The colours of the leaves lit by the low sun were amazing. As I said before, it’s always sad to finish a one year package but I’m very glad that we were able to do such a fun session as the last one with this family and that I got to see their daughter walking and looking so grown up. I have just got back from my first truly autumnal swim of the year at Tooting Bec Lido. Small golden leaves softly rained down upon me as I swam and more floated on the surface of the water and lay on the bottom of the pool. I love the heat of summer, so always have a little disappointment to get over before I remember that autumn is the best time of year for outdoor photography. It is particularly special for me, as it was after a lovely autumn session with three toddlers in the woods about five years ago that I came up with the name Warm Glow Photo. The combination of the amazing light you get at this time of year with the variety of golds, reds, yellows and browns of the trees and the leaves underfoot, as well as the freedom and excitement the children felt as they explored it, showed me the type of photographer I wanted to be. I wanted to share with you a few of my favourite autumn pictures. If you’re interested in booking a session please get in touch. I really love photographing outside at this time of year and would like to do it as much as possible. This weekend I am doing the final session from a First Year Package with a wonderful family. 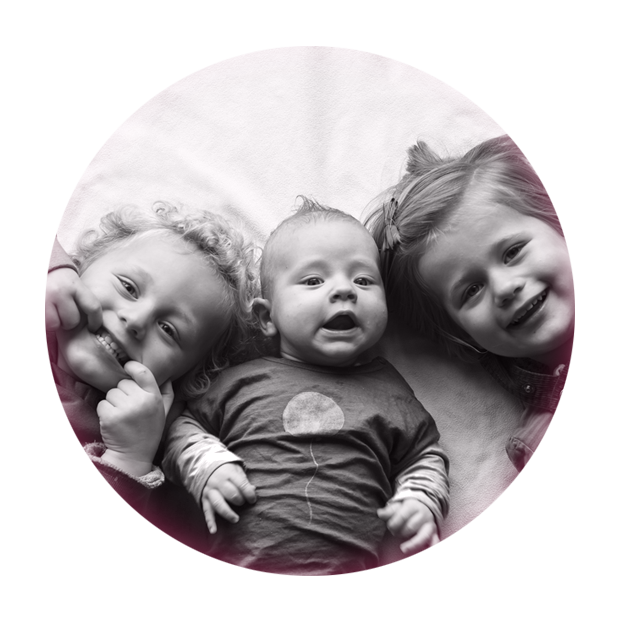 This reminded me that I hadn’t shared their seven month session yet, as it was just before I went on maternity leave. Of all the work I do, I love First Year Packages the most. Photographing the same family three times means I really get to know them and they become more comfortable with me, so the pictures get better and better. Even if the baby can’t remember me from one session to the next they see how their parents respond to me, which helps them to relax. I also get to see the child grow up, which is truly magical. It has been lovely to get to know this family, who are very warm, friendly and welcoming. The fact that I did their newborn session when I had just discovered I was pregnant and this session when I was quite heavily pregnant made it extra special for me. I’m really excited to see their daughter again this weekend as she grows into a toddler. She already had such a wonderful character last time I photographed her, this time her personality will shine even more brightly. This family are great to work with because they have lots of ideas for fun photos and really get into the session. What I enjoy most about photographing them is how clearly the parents’ love for their daughter shows in the images. I’ve just been working on an order from this newborn session that I did right at the end of my pregnancy. Photographing so many newborns while I was pregnant was a massive privilege that I feel very grateful for. It put me in the right frame of mind to welcome my own daughter into the world. Looking back on these pictures today is a little bittersweet as it reminds me just how quickly babies grow up. It wasn’t that long ago but this little girl will never be that tiny newborn again, that moment is gone forever. The baby that was in my tummy when I took these pictures is now on the cusp of crawling and about to start eating food! On a less emotional and more practical note, I love using over-exposed windows as a background. It’s almost plain white but if you look closely you can see London buses, which shows where the family live. Late last year I did a very exciting fashion shoot for Campbell Crafts. In our first time working on location together, we did a bowling themed shoot at All Star Lanes in Bayswater with Miss Victory Violet modelling Campbell Crafts latest creations. The venue was amazing. The decor was so beautifully evocative of another era. The staff were great to work with: nothing was too much trouble and they make a mean milkshake. Miss Victory Violet was very professional, friendly, easy to work with and looked amazing in the clothes. However, the shoot was a little challenging. The lighting in the bowling alley, while perfect for a night out, was much to dark for photography. When I set up my portable studio flash I discovered that pretty much everything in a bowling alley is reflective (polished floors, chrome fittings, shiny balls), so avoiding reflections and glare was pretty tricky. I was also five months pregnant at the time, but thankfully everyone helped me get my massive amount of kit from the roof top car park to the basement bowling alley! I love the variety and different experiences that this type of work brings, in addition to getting a chance to work with such interesting and creative people. Here’s how the pictures looked when published in the spring issue of In Retrospect magazine.